Plai Essential Oil is an exceptional oil in aromatherapy, highly valued for its anti-inflammatory and analgesic actions. Pure Plai Essential Oil is an exceptional oil, highly valued for its analgesic and anti-inflammatory therapeutic properties. Plai essential oil is reputed to help with aches and pains, inflammation, joint problems and muscle spasms. Plai oil has a wonderful, bright, uplifting aroma, and is highly regarded for its therapeutic properties in massage. Though a member of the ginger family, (sometimes referred to as "Thai Ginger" essential oil), plai does not have the heat associated with Ginger. Instead, it has an overall 'cooling' effect, providing wonderful relief for swelling and pain of joints and muscles. Plai oil is a valuable component in healing massage blends. You can try blending it with other oils, such as helichrysum essential oil, black pepper and lavender, to name just a few. Because of its anti-spasmodic properties, Plai oil may also offer relief from menstrual cramping and pain. 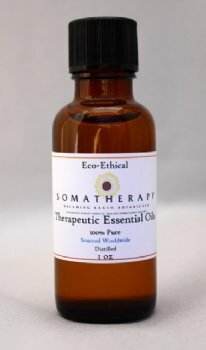 Dilute in a carrier oil or lotion and massage gently around the abdominal area and low back. Plai essential oil is considered non-toxic, non-sensitizing and non-irritating. For recipes using Plai, check out our blog post.